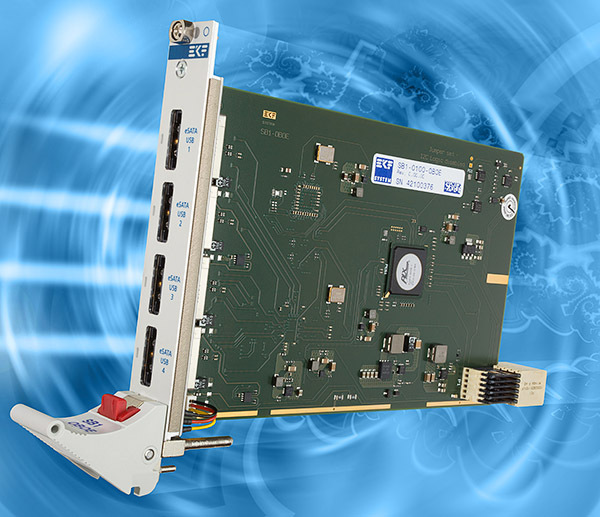 The SB1-OBOE is a peripheral slot board for PICMG® CompactPCI® Serial systems, equipped with four USB3/eSATA front panel combo connectors. 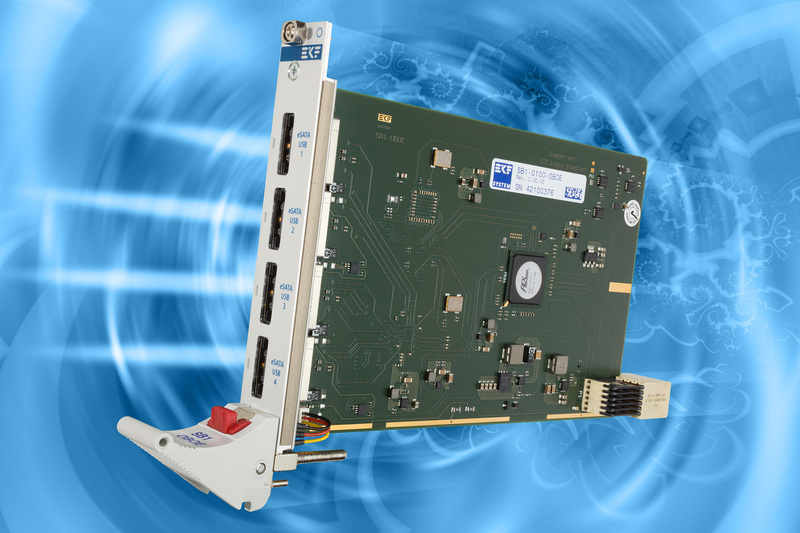 The card is comprised of an USB 3.0 SuperSpeed controller, and a SATA III RAID controller. Hence each front panel connector is suitable for attachment of either USB 3.0, USB 2.0 or eSATA based peripheral devices. 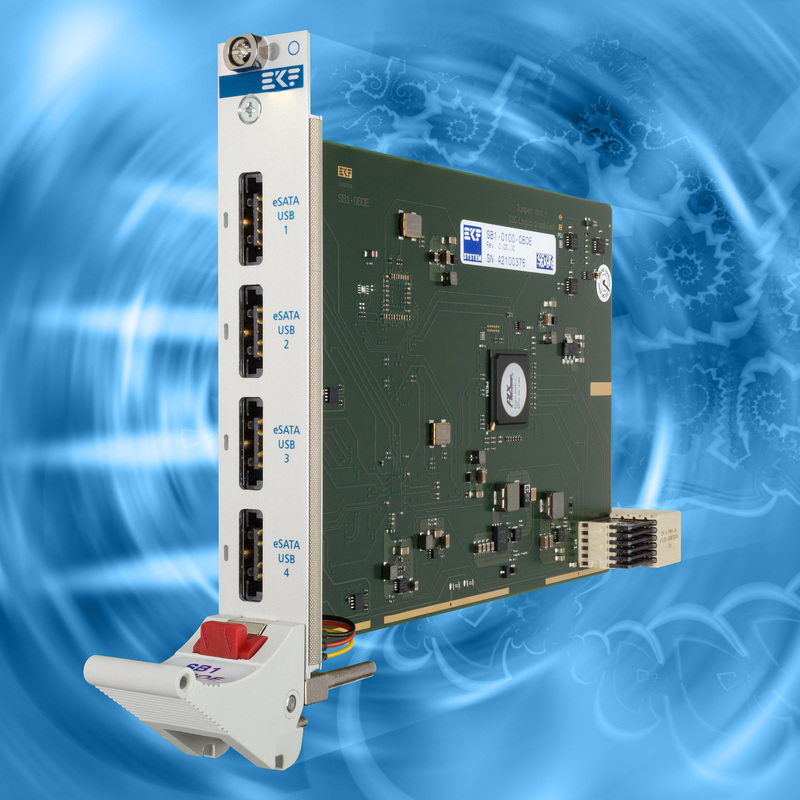 The SB1-OBOE is provided with a PCI Express® 2.0 package switch, and can be installed into any peripheral slot of a CompactPCI® Serial backplane. A single PCIe lane would be sufficient for operation, but the optimum performance will be achieved when the SB1-OBOE is inserted into a CompactPCI® Serial fat pipe slot.